A cancer researcher and emeritus professor at The Ohio State University has retracted four more papers, bringing his total to nine from a single journal. The four retractions of work by Samson Jacob appear in the Journal of Biological Chemistry, from which Jacob retracted five papers in March. The original papers — one of which has been cited more than 250 times — date back to 2002. Under federal regulations and university policy, Ohio State University can neither confirm nor deny that the university has any investigation in progress. The university is not aware of any pending retractions involving Samson Jacob. The authors stand by the reproducibility of the experimental data and the conclusions of the paper. The paper, with confirmatory data supporting the results, can be obtained by contacting the authors. At this point, “there are no impending corrections, withdrawals, and/or retractions,” according to an announcement today by the journal. Jacob did not immediately respond to a request for comment. In addition to the nine retractions, he has had at least one paper corrected. The Jacob case is just one of several with which OSU has been grappling over the past few years. Another cancer researcher, Carlo Croce, has been dogged by allegations, but the university has not found him guilty of misconduct. And in March, OSU released a report finding misconduct by another cancer researcher, Ching-Shih Chen. Cancer Res. 2010 Dec 15;70(24):10265-76. doi: 10.1158/0008-5472.CAN-10-2839. Loss of metallothionein predisposes mice to diethylnitrosamine-induced hepatocarcinogenesis by activating NF-kappaB target genes. Majumder S1, Roy S, Kaffenberger T, Wang B, Costinean S, Frankel W, Bratasz A, Kuppusamy P, Hai T, Ghoshal K, Jacob ST.
Department of Molecular and Cellular Biochemistry, The Ohio State University, Columbus, Ohio, USA. Genes Cancer. 2012 Jan;3(1):71-81. doi: 10.1177/1947601912452665. Novel Insights into the Molecular Mechanism of Action of DNA Hypomethylating Agents: Role of Protein Kinase C δ in Decitabine-Induced Degradation of DNA Methyltransferase 1. Datta J1, Ghoshal K, Motiwala T, Jacob ST.
Department of Molecular and Cellular Biochemistry, The Ohio State University, Columbus, OH, USA. Mol Cell Biol. 2005 Jan;25(2):751-66. DNA methyltransferase 3b regulates nerve growth factor-induced differentiation of PC12 cells by recruiting histone deacetylase 2. Bai S1, Ghoshal K, Datta J, Majumder S, Yoon SO, Jacob ST.
Department of Molecular and Cellular Biochemistry, College of Medicine, The Ohio State University, Columbus, OH 43210, USA. Cancer Res. 2009 May 15;69(10):4277-85. doi: 10.1158/0008-5472.CAN-08-3669. Epub 2009 May 5. A new class of quinoline-based DNA hypomethylating agents reactivates tumor suppressor genes by blocking DNA methyltransferase 1 activity and inducing its degradation. Datta J1, Ghoshal K, Denny WA, Gamage SA, Brooke DG, Phiasivongsa P, Redkar S, Jacob ST.
Cancer Res. 2008 Jul 1;68(13):5049-58. doi: 10.1158/0008-5472.CAN-07-6655. Methylation mediated silencing of MicroRNA-1 gene and its role in hepatocellular carcinogenesis. Datta J1, Kutay H, Nasser MW, Nuovo GJ, Wang B, Majumder S, Liu CG, Volinia S, Croce CM, Schmittgen TD, Ghoshal K, Jacob ST.
Department of Molecular and Cellular Biochemistry, College of Pharmacy, and Comprehensive Cancer Center, Ohio State University, Columbus, Ohio 43210, USA. Is Jacob still at OSU? I can no longer see his erstwhile pages on the university website. They seem to have turned into 404 some time in mid-August. Samson Jacob has emerged as a pioneer in the field of regulation of gene expression, particularly in the context of leukemia and liver cancer. He has advanced the understanding of how both oncogenes and tumor suppressor genes are regulated during normal development, as well as deregulated during disease, and identified and characterized enzymes, signaling molecules, biochemical pathways, transcription factors and DNA modifications that can affect human health by altering the pattern of gene expression. His groundbreaking research has changed the dialogue on the elements that regulate gene expression and has given insight into the development of novel therapeutic agents. The quality and importance of Jacob’s research are evidenced by the more than 200 peer-reviewed publications in high-impact and top-tier journals in the fields of biochemistry, cancer research, hepatology and immunology, including Nature, Science, Journal of Experimental Medicine, Blood, Hepatology, Cancer Research, Oncogene, J. Biological Chemistry, Molecular and Cellular Biology and Proceedings of the National Academy of Sciences. Jacob is an elected Fellow of the American Association for the Advancement of Science. 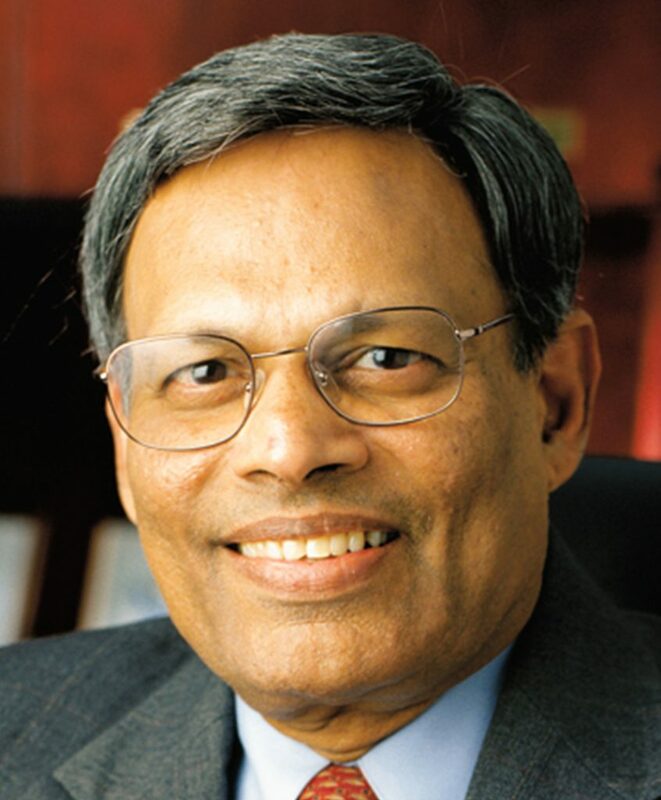 He has been continuously funded throughout his career by the National Institutes of Health. He obtained his BS from Madras University, India, and his MSc and PhD from Agra University, India. He joined Ohio State in 1996. Gastroenterology. 2007 Aug; 133(2): 647–658. Address requests for reprints to: Tushar Patel, MBChB, The Ohio State University Medical Center, N2 Doan Hall, 410 West 10th Avenue, Columbus, Ohio 43210. 2590 citations according to google Scholar. EMBO J. 2007 Aug 8;26(15):3558-69. Epub 2007 Jul 12. Low levels of miR-92b/96 induce PRMT5 translation and H3R8/H4R3 methylation in mantle cell lymphoma. Pal S1, Baiocchi RA, Byrd JC, Grever MR, Jacob ST, Sif S.
Department of Molecular and Cellular Biochemistry, The Ohio State University, Columbus, OH 43210, USA. Is there a correlation between performance of various questionable activities? Following his time at Chicago Medical School, STJ joined the faculty at OSU.